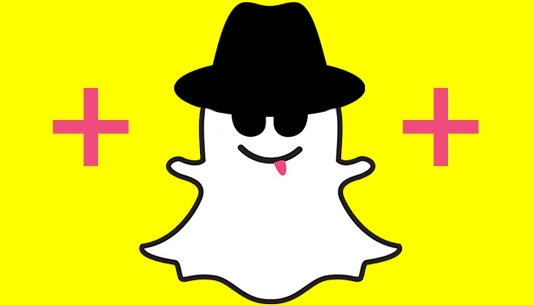 Snapchat++ is a tweaked edition of the original snapchat app. We all know that snapchat is one of the best social messaging apps so far. It is trusted by millions of people as it’s the best in terms of privacy and security. It has a lot of great features like sending pictures and videos without the receiver knowledge of downloading them. Then, why would we want a tweaked snapchat++ for 11 or iOS 10?, I have a solid reason for that. The official version of snapchat app allows you 60 seconds snaps to send them to your friends or to add it to your story. But it does not help your friends to download that snaps, they can only view it. Moreover, those snaps will get disappeared after some time. Moreover, it leaves no track what you have shared and you need to keep sharing to make it available for people in your snapchat accounts. But the tweaked Snapchat++ download will help you overcome such issues. I am going to show you how to download and install the tweaked snapchat plus on iOS 10 without a computer, without jailbreaking. There are multiple methods to get the tweaked snapchat app for iOS devices. But I am going to share only the best methods through which your snapchat account won’t get affected, will be safe for forever. Let’s follow any of the methods shared below. I am going to provide you an IPA file which is an iOS application file that stores the iOS App. The IPA files cannot be installed on iPhone or iPad directly like installing APK files on Android. You need Cydia Impactor tool in order to install Snapchat++ IPA on iPhone or iPad running iOS 11 or iOS 10. But the whole process does not require your iPhone to be jailbroken. Moreover, this particular method requires a computer and the other 2 methods shared in this article does not require a computer. Follow the instructions to Install Snapchat++.ipa file on your iOS-powered smartphone. Download the IPA file provided above and store it on your iPhone or a computer. Share that file from your iPhone to PC using any file sharing apps if you have downloaded the file on your smartphone. Get Cydia Impactor from this link and follow the instructions to Install Cydia Impactor on PC. Once you are done with the installation of Cydia Impactor, connect your iPhone to the computer using a 3.5 mm lightning cable. Choose your iPhone from the drop-down menu from the Cydia Impactor tool. Provide the Apple ID and Password kind of details if prompted. Minimise the iTunes window if pop-ups anytime. Now, Drag and drop the Snapchat++ IPA file onto your iPhone. Please wait for sometime and do not disconnect your iPhone from the computer yet. That’s all! the app will get installed in next few seconds. Please wait till it finishes automatically and go back to the home screen of your iPhone and check for the app icon of Snapchat. TweakBox is one of the finest sources for tweaked apps. The tweakbox app does not need jailbroken iOS device to get installed and not much space on your device as well. The tweakbox app has a lot of awesome apps like Deezer++, Napster++, Youtube++, etc. Follow the instructions provided below. Download TweakBox for your iPhone or iPad and install it. Open the tweakbox app on your iPhone. Make sure you have trusted the developer profile while installing the app itself. Click on “Tweaked Apps” and scroll down till you see the app. Click “Install” to start the process of installing the app on your iOS device. Tap “Install” again if you come across any pop-up asking whether to install the app or cancel. It will take some time to finish the installation process successfully. Once it is done, you can find out the app on the home screen of your iPhone or iPad. Open up the app and create an account if you don’t have one. Or, you can directly login with your account details. Sometimes it will show you a warning message saying, third party activities are not allowed, tap I Understood. It’s the best method by far as it does not take more than a minute. Moreover, it does not require a computer and no jailbreak is needed at all. Make sure you have a better performing mobile data connection or a wifi connection. Also, maintain some free space on your device to avoid app installation failed kind of errors. Download TutuApp Regular or VIP version from this link. Follow the instructions to Install TutuApp on your iOS device. Open TutuApp on your iOS device and type “Snapchat++” and hit enter. Click on the first app and wait till it loads completely. Then, tap “Get It Free” to start installing the app. Tap “Install” again if you come across any pop up from tutuapp asking whether to install it or not. Go back to the home screen of your iOS device and check if the app is installing or not. You would probably see like in the image below. Clicking on the app won’t help you open it directly. You need to trust the developer profile in order to use the app without any issues. Here you go! That’s it! you come to the end of this article. Therefore, you are ready to use the app on your iOS devices. What are you going to get from these procedures? check them out below. Able to watch snaps and stories without marking them read. Disable HOLD gesture to keep the snaps and stories open for a long time. View your friend’s snaps and stories without their knowledge. New paintbrush tools, and other tools to make your snaps better than they are. Able to customize the size, type, color of the brush according to your taste. Easy to remove Live Stories, Discover options. Upload videos and photos from the camera roll without any restrictions at all. Send Images, Videos that don’t disappear until you or the receiver delete them. Those are the features you are going to enjoy now. I am pretty sure you won’t be able to get such features from any other app. In order to enjoy a lot of great features, we would love to try out Snapchat++ on iPhone without jailbreak. Of course, the app carries a lot more than your expectations. Share this tutorial with your friends on social media, thank you. Don’t forget to mention your problems, seggestion in the comments box.